Looking for fun? Enjoy one long summer party right where the action is! 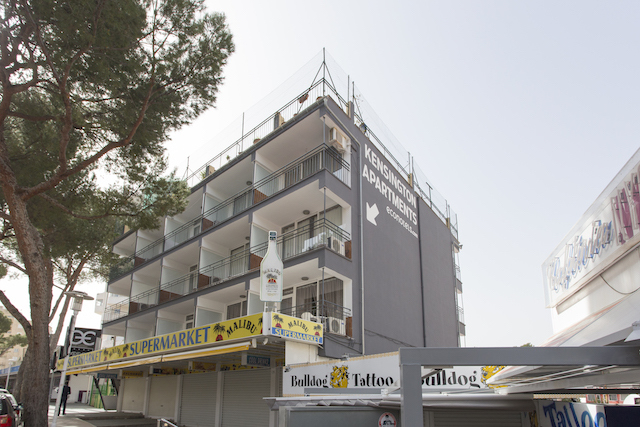 These apartments are located aside to the famous street Punta Ballena, between Palmanova and Magalluf, surrounded by clubs, pubs, shops and very close to the beach for some fresh air. All the fun you need you’ll find just a stone’s throw away. At our Econotel Kensington we guarantee a newly renovated, clean and fully equipped apartment at the best price for you and your friends. What are you waiting for?